Mr. Dorsey is involved in a wide variety of general and special labor relations and employment issues including union representation elections, contract negotiations and administration, unfair labor practice charges and employment discrimination matters in both the public and private sectors. 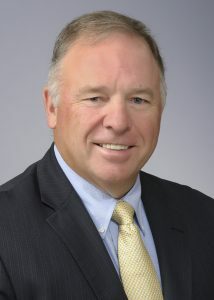 Mr. Dorsey focuses his practice in the area of labor and education law, representing municipalities and boards of education in all aspects of labor relations and school-related claims, including contract administration, grievance and interest arbitration, prohibited practice and discrimination matters. Mr. Dorsey is also a member of the Adjunct Faculty of the University of Bridgeport, teaching school law in the graduate education program. Connecticut, 1984, United States District Court, District of Connecticut, 1985, United States Court of Appeals for the Second Circuit. Co-author, “An Analysis of the ‘No Strike Clause’ in Contemporary Collective Bargaining agreements,” published in the Western New England Law Review in 1984. Frequent lecturer and author on a wide range of public and private sector labor relations matters. Presenter on school collective bargaining and litigation issues for the Connecticut School Attorneys Council, school board legal liabilities and negotiations strategies and procedures for the Connecticut Conference of Municipalities, Connecticut Association of Boards of Education, school law issues for the National Business Institute, LRP Publications, Connecticut and American Association of School Personnel Administrators, Connecticut Association of Public School Superintendents, and special education law and Section 504 requirements for the Medical Education Services, Inc. Professional Development Network. Mr. Dorsey has been recognized by New York Magazine as one of their “New York Area Best Lawyers” in the area of special education law. Mr. Dorsey has also been selected by his peers in every year since 2008, to be listed in The Best Lawyers in America in the practice areas of Labor Law – Management; Education. In addition, Mr.Dorsey has been named the Best Lawyers‘ 2014 Hartford Education Law “Lawyer of the Year” and has received a peer review rating of “BV Distinguished” from Martindale-Hubbell.